Sikh Channel Interviews: Sri Dasam Granth Sahib and British and the Sikhs. 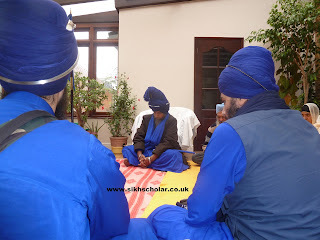 Gurinder Singh Mann, Sikh scholar recorded two programmes at the Sikh Channel on 09/12/2012. Interviewed by Rajinder Singh for the Ek Conscious Show. Sikh Historian Gurinder Singh Mann, discusses the relatively unknown Charter Act which introduced the Christian missionary movement into India. 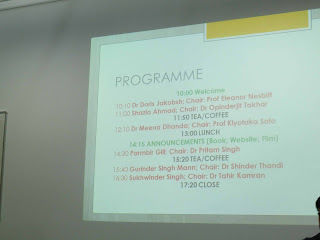 I have decided to rename this site to www.sikhscholar.co.uk, my other work and sites which i have connections with can be seen at wwww.gsmann.com. I was finding that people were getting in contact with me through my various projects so i decided to put the portfolio sites on one site. The video of my interview on the Sikh Channel regarding various themes of Sikh history. 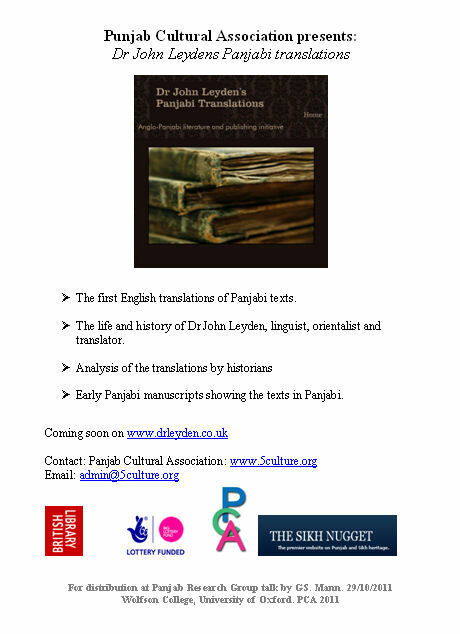 From the Granth of Guru Gobind Singh to how the British colonised the Punjab. Ramgharia Dynasty: Bhai Hardas and Jassa Singh Ramgharia. From the Tenth Guru to the reign of Maharaja Ranjit Singh. Bhai Hardas (Haridas) was a resident of Sur Singh, a large village in the Lahore district (now Taran Taran); he became a close confidant of Guru Gobind Singh. 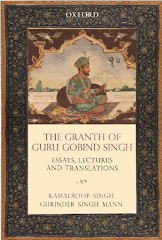 He prepared an early recension of Guru Granth Sahib. This manuscript was dated 1682 AD and completed at Damdama at Anandpur Sahib. This was one of the earliest manuscripts which also contained the saloks of Guru Tegh Bahadur. It was kept at Sikh Reference Library, Manuscript No. 511, with the description, Sri Guru Gobind Singh ji de Likhari Bhai Hardas vali birh. The following is the treaty between the British and the Lahore Government. Dated 29th March 1849. * It essentially made Duleep Singh a ward of the British. * made the Lahore Government pay the expenses of the Anglo Sikh Wars and all the property of the Punjab was confiscated by the British. Essay written for Sant Sipahi magazine in 2008. Publishing for the first time on the internet due to the discussion of Charles Wilkins visit to the Takht at Patna Sahib on Sikh Channel interview May 2012. 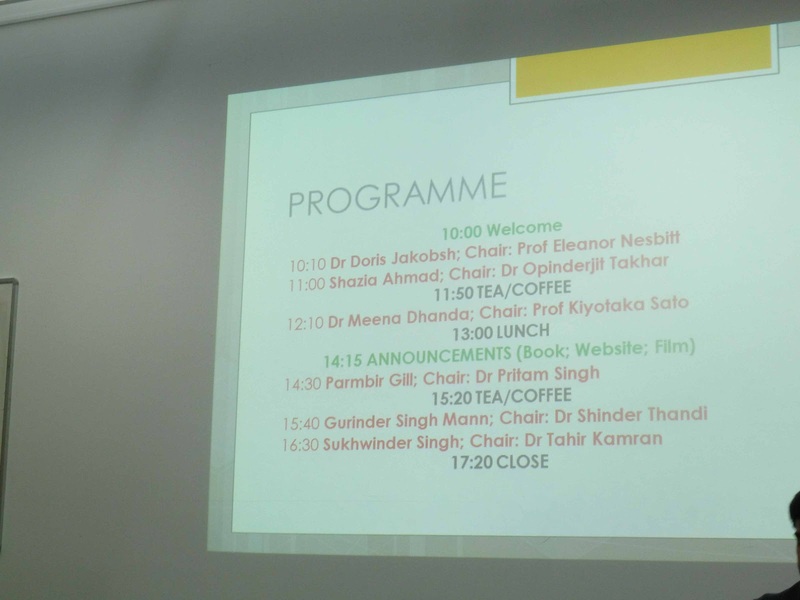 Gurinder Singh Mann: British and the Sikhs discussion on Sikh Channel. I was on the Sikh Channel discussing the relationship between the British and the Sikhs. Sir Lepel Henry Griffin (20 July 1838 – 9 March 1908) was a British administrator and diplomat during the British Raj period in India. He wrote several books related to Panjab and the Sikhs including: The Punjab Chiefs, The Rajas of the Punjab and The Law of Inheritance to Sikh Chieftains. He also wrote a book on Maharaja Ranjit Singh. An extract regarding the Akali Nihangs is reproduced below. At County Hall, Leicestershire County Hall, Leicester. A brief talk on 25th November 2011 on the Sri Dasam Granth Q and A book at the Guru Nanak Annual Lecture, County Hall , Leicestershire.The main lecture was undertaken by Sir Mota Singh QC retired Judge on Guru Nanak and diversity.